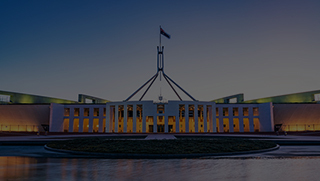 Understand the key takeaways from the 2019 federal budget and how it will affect your business. The Australian federal budget is prepared by the Treasurer and presented to Parliament. The budget outlines the proposed revenue and spending of the Australian Government for the upcoming financial year. The federal budget is also a political statement of the government’s intentions and priorities for the upcoming financial year and beyond. The majority of government revenue comes from income & company tax, sales tax (GST) and interest and dividends. The government needs this revenue to pay for the public goods and services it provides including education, health, defense, infrastructure, welfare and much more. We asked 1000 small businesses what they want from this year’s budget. Here are the results. What did the 2019 budget deliver? From extensions to tax cuts. Here are the 8 key changes that affect you and your businesses. All taxpayers earning between $45,000 and $200,000 will have their tax rate reduced from 32.5 per cent to 30 per cent from 2024. In last year’s budget low and middle-income earners were promised a tax cut of $530 from July 1 – this will nearly double to $1,080 per individual. The instant asset write–off has been extended again. The amount you can claim has increased to $30,000, and now includes mid-sized businesses with an annual turnover of up to $50 million. There will be an additional $6.3 billion in drought support and $3.3 billion for those affected by flood though the National Water Infrastructure Development Fund, Farm Household Allowance and establishment of a North Queensland Livestock Recovery Agency. A one-off payment of $75 for singles and $125 for couples to assist households with their power bills. This will be paid into the bank accounts of the most vulnerable only including veterans, carers, single parents, aged pensioners and people receiving the disability support pension. The 2019 Budget has included lower tax rates for small and medium‑sized companies with turnovers below $50 million. Small and medium‑sized companies currently on a 27.5 per cent rate will have a 25 per cent rate by 2021-22, which is five years earlier than previously planned. The 2019 budget has pledged a $100 billion across a 10-year spend on infrastructure for roads and rail, bridges, dams, and ports. Around $42bn is earmarked for spending in the next four years. A $525 million skills package has been announced in the 2019 budget to reform the vocational education and training sector and double incentive payments for employers to $8000 an apprenticeship placement while introducing a new $2000 payment for apprentices. The 2019 budget allocates $1 billion over four years to the ATO, in order to extend the operation of the Tax Avoidance Taskforce that targets multinationals, large public and private groups, trusts and high-wealth individuals. This is expected to bring in an extra $3.6 billion in tax revenue. Note: The 2019 budget changes are subject to parliamentary approval. You'll always be ready for tax time with Reckon One! 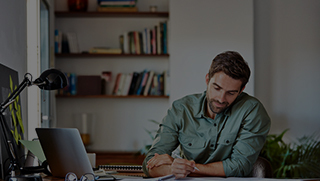 Take control of your finances in the new financial year from just $5/month.